The Moor’s Account, by Laila Lalami. The Moor’s Account, by Laila Lalami. Panethon, September 2014. ebook. A fine retelling of the story of Cabez de Vaca and three other survivors who explored the southern United States in the 1500s, as told by a Moroccan author from the perspective of Estaban/Mustafa, a slave. The story of de Vaca and his small band of survivors is a staple of American history. He and the other Spaniards gave an official version of the eight years the group was lost in the vast wilderness of North America. They included the presence of Estaban, a slave, in their account and noted the key role he played in communicating with the various Indian tribes that befriended them. Nothing else about Estaban or his origins has made it into the historical record. Moroccan author Laila Lalami has recreated him as the Muslim Mustafa ibn Muhammad, renamed Estaban when he was enslaved, and allows him to give an alternate version of their experiences. In telling his story, Estaban does not challenge the account of De Vaca, but to expands and corrects it. Lalami is sensitive to the need for a variety of stories, and her version of this one is subtle and complex. The servants of the Spanish Empire have given a different story to their king and their bishop, their wives and their friends. The Indians with whom we lived for eight years, each of them, each of the thousands, have told yet other stories. Maybe there is no true story, only imagined stories, vague reflections of what we saw and what we heard, what we felt, and what we thought. Maybe if our experiences, in all their glorious, magnificent colors, were somehow added together, they would lead us to the blinding light of truth. I had never before thought of Estaban as a “Moor,” but given the historical reality he probably was. Lalami presents him as also being educated and thoughtful. She begins his story in Morocco where he becomes a somewhat successful merchant, even buying and selling slaves. When the economy plummets, however, he sells himself into slavery to provide for his mother and siblings. Taken to Spain, he is christened Estaban, a change which devastates him. “Estabanico was a man conceived by the Castilians, quite different from the man I really was.” He struggles to adapt to his new life as a slave. Then Mustafa is traded as payment for a gambling debt to a noble who takes him along on an expedition to Florida, led by Navaez. The expedition flounders. Leaders make poor decisions. Men become separated and die. Finally only four men are left; Mustafa, his master and two other Spaniards, including de Vaca. Their survival is helped when they gain acceptance with Indian tribes, but life is hard and uncertain. At times Mustafa feels that his own misdeeds are the reason for all the hardships. Then Mustafa is able to heal an Indian using his mother’s folk remedies. The Spaniards pitch in, adding what they had learned on battlefields. At one point, Mustafa tells his real story to one of the Spaniards, and finds joy in the telling. Telling a story is like sowing a seed–you always hope it becomes a beautiful tree, with firm roots and branches that soar up in the sky. But it is a peculiar sowing for you will never know whether your seed sprouts or dies. Soon they are welcomed and celebrated as they move from tribe to tribe, gaining a large group of followers. Mustafa is able to feel joy again and recognize the beauty of the land they are crossing. When they meet other Spaniards, however, their almost idyllic life is ended. Telling the story of their survival became the prerogative of Cabeza de Vaca and he could space it as he wished. Even worse, the relationship between the four survivors reverted to what it had been before their experiences in the wilderness. Mustafa’s owner had promised to free him if they ever returned to civilization. But in Mexico City he delayed and delayed actually doing it. We had been hungry together. We had shivered in the cold together. We had worked side by side for the Carancahuas and side by side we had tried to heal the Indians in the Land of Corn. But whatever transformation had taken place within him had slowly been undone by his prolonged stay in the capital, where there was endless talk of money and power. 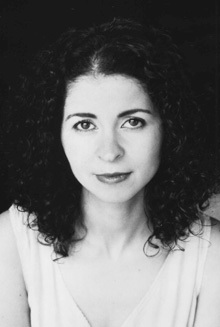 Lalami was born and educated in Morocco and earned her Ph.D. in Linguistics in the United States. She now teaches creative writing in California and has written two other highly acclaimed novels. Her Hope and Other Dangerous Pursuits is on my TBR shelf because other bloggers have praised it so highly. With that background, I was not surprised by the quality of her writing in The Moor’s Account. Still I was very impressed with the wisdom and insight that she brings to the North American conquest by the Spanish. Imaginatively, she is able to tell the story of the expedition and its four survivors in a way that allows us to see it from the perspective of a Moroccan slave and of the Indians who befriend them. Her book simply adds an additional perspective on the North American conquest. In addition, her account is well-told; full of adventure and tension. What happens to Mustafa is not clear until the very end. Although the brutality of the Spaniards is always present, Lalami did not write a simple account of the good guys and bad. Her characters display ambiguity. They change as circumstances change. Like them or not, they are distinctive and easy to understand. For example, during the eight years spent together as exiles, the four men learn to rely on each other and hierarchical lines disappear. In the wilderness, Mustafa was deeply touched when one of the Spaniards expresses gratitude to him rather than treating him as a slave who is expected to serve. Yet after they are returned to the Spanish rulers of Mexico, the old distinctions returned. I very enthusiastically recommend The Moor’s Account to all readers. This is a wonderful, book, full of the best kind of historical re-appraisal and of human joy and pain. I wish I could make it required reading, especially for Americans and others who live in lands that were conquered by outsiders. This book is the kind of re-imagining of history that we need. An ebook version of this book was sent me to review before its publication next fall. I am very grateful as I always am when the review copies are so amazingly good. ← In Sickness as in Health, by Barbara Kivowitz and Roanne Weisman. Oh I’ve been wanting to try Lalami for ages, and this sounds like the perfect place for me to start! Lalami is a great writer and this is your kind of book. Thanks for the suggestion of Slavery’s Exiles. I will look for it. I just received a review copy of Elizabeth Nunez’s autobiography. Ohh I didn’t realise she had an autobio out! I’ll have to track that down, now that I’ve read almost all of her novels (I’m saving the last one as a treat, hehe). Eva, I received her autob as a review copy from Akashi Books. I am not sure when it will be out. They are generous with review copies, and don’t send them unless you ask. You might get a copy from them. Sounds fascinating, I think I will put it on my list for Kinna’s 2014 challenge. It’s an excellent example of how we can imagine traditional accounts from a new perspective. Author and narrator are African, but most of the book takes place in North America whose Indigenous people are also included.